"They are surprisingly gentle. They will rub up against you like a cat." No one knows exactly how many rare Sumatran rhinos are left in the wild, but new estimates suggest the population is as low as 30. The best-case scenario? Just under 100. And there are just nine Sumatran rhinos in captivity. These are bleak estimates, especially since if the Sumatran rhino dies off, that will be the end of the entire genus. 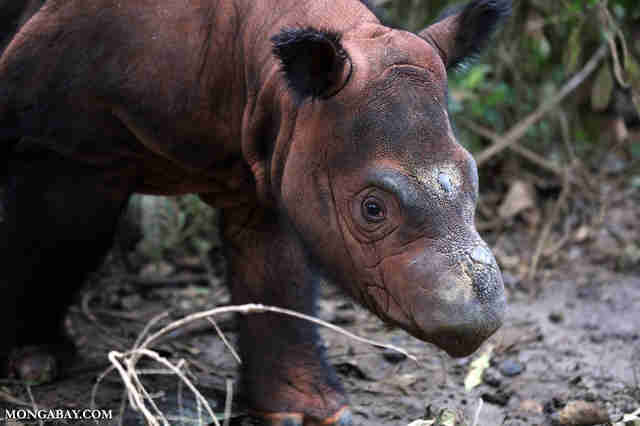 "The Sumatran rhino doesn't just represent a single species – it is the last survivor in its genus, which has been separated from other living rhinos for around 25 million years," Jeremy Hance, a wildlife journalist, told The Dodo. 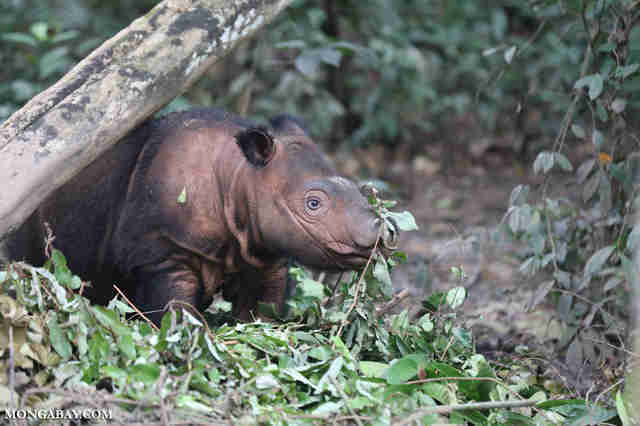 Hance has just published a four-part series on the critically endangered animal, “Is Anyone Going to Save the Sumatran Rhino?” at Mongabay. "It's a living relic to a lost past. It's also a direct relative of the extinct woolly rhino — how cool is that?" Hance is passionate about this animal. He did extensive research and interviewed the top experts on the Sumatran rhino and he even went to meet some of the last Sumatran rhinos in person. "They are fascinating," Hance said. "They are always vocalizing, whistling like dolphins and snorting like bulls; they are covered in hair; and given their giant size they are surprisingly gentle. They will rub up against you like a cat. They each have distinct personalities." Major threats to the Sumatran rhino include poaching for their horns, like other species of rhino, but also severe habitat fragmentation. 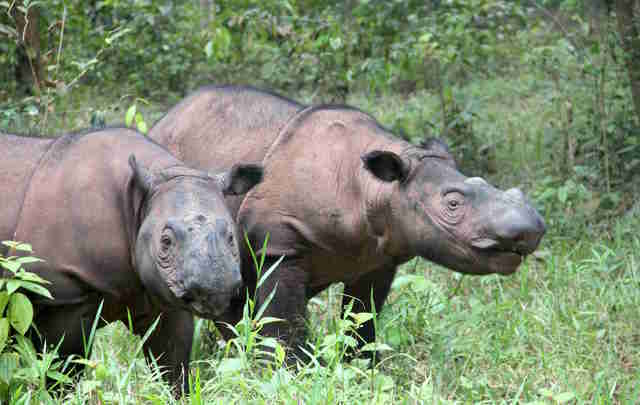 Because the remaining wild Sumatran rhinos are splintered into four areas of the Indonesian island of Sumatra, and so have trouble reaching each other to breed, the situation is so dire that conservationists will need to start capturing wild individuals to breed them and boost the captive population, according to Hance. "We need more rhinos in the captive breeding population to absolutely insure this species doesn't go extinct," Hance said. "Given the tiny wild populations and ongoing reproductive problems, captive breeding is the only way to make sure we keep getting more rhino babies. 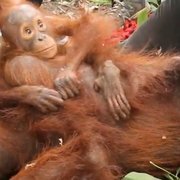 Once the population in captivity is large and self-sustaining then we can talk about re-releasing animals back into the wild." This method has had great results with animals like the European bison and the Arabian oryx. "The problem right now is that we need the government of Indonesia to sign off on any of this and they keep delaying," Hance said. There's still hope for this living dinosaur, if people start stepping up and speaking out about the ways people can have a positive impact on wildlife. "We are in the midst of a massive loss of global biodiversity, perhaps even a mass extinction. But it really doesn't have to be this way," Hance said. "If we put more of our energy, resources and compassion into saving species on Earth we could not only help insure our own survival but conserve what makes this planet so amazing: the millions of life forms on it, including the gentle, hairy, totally weird and wonderful Sumatran rhino." 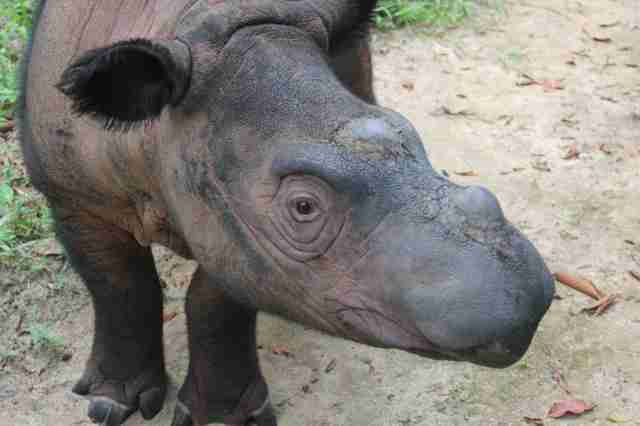 To help the Sumatran rhino, you can make a donation to the International Rhino Foundation.